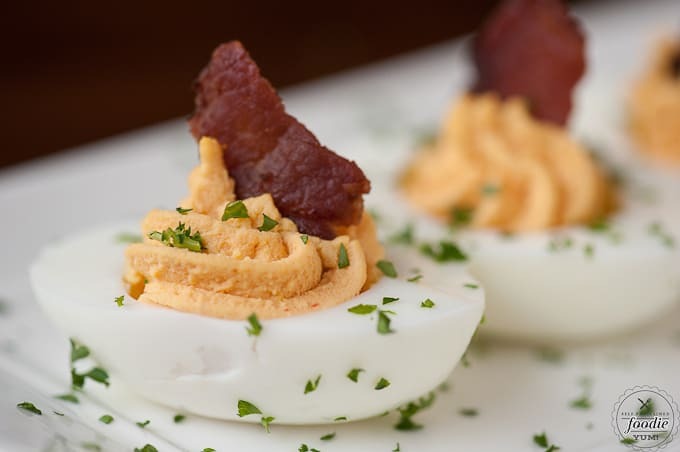 Take standard deviled eggs to the next level by making these flavorful and crowd pleasing Bacon Sriracha Deviled Eggs as your next party appetizer. Sriracha is all the craze, you know. I don’t even really know what it is, but I know people love it so I bought some awhile back. The bottle was half gone so I asked my husband what he was using it for and he said “I don’t know. Eggs n stuff.” He is a deviled egg fanatic and is always begging me to make them, but I’ve had a life long battle with being able to cook a perfect hard boiled egg and to this day am still intimidated by the process. 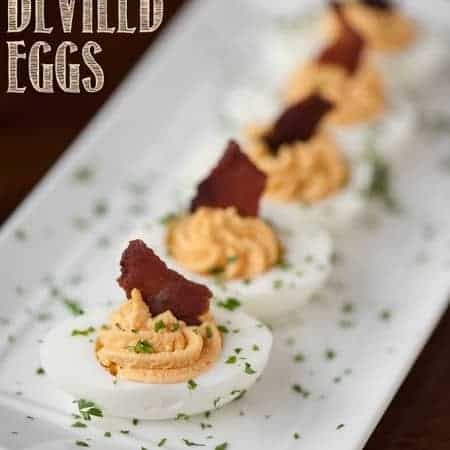 I know deviled eggs are a real crowd pleasing appetizer, so I decided to do something nice for him and make some amazing deviled eggs. I hadn’t even tasted the sriracha, so this was a bit of an experiment. Mixing the yolks with just mayo and dijon is a bit boring, if you ask me, so I replaced the mustard with the sriracha not really knowing how it would change the flavor. My first assumption was that it would make them spicy but it didn’t at all. All it did was give the yolks a really fantastic flavor and livened up the color to a brighter orange level. The reason I’m not a huge fan of deviled eggs is the texture. Soft on soft doesn’t usually appeal to me, and I can’t help but envision someone eating these things with their mouth open and little pieces of egg spewing out as they talk (you know I’m a weird chick sometime). 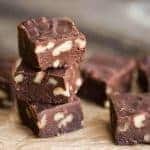 My point, my foodie friends, is that I like a little crunch with my soft. And there’s no better crunch or flavor, for that matter, in the world than perfectly cooked bacon. The result? 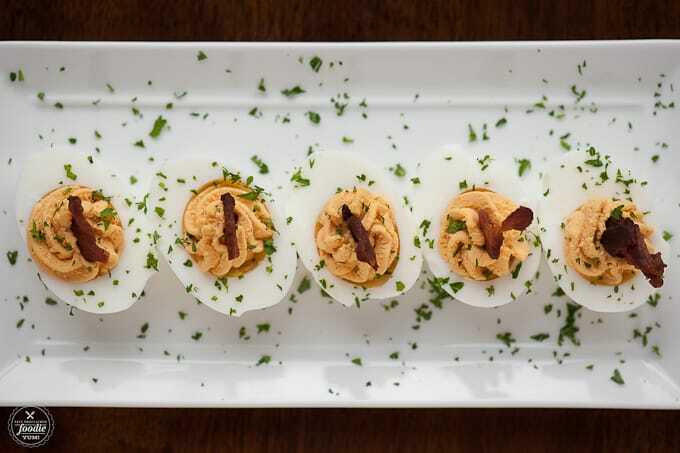 Pretty damn good deviled eggs that not only look pretty but taste fantastic. Cook up some apple wood bacon ends and pieces. You can use as much or as little for the deviled eggs as you'd like. Any extra can be thrown in your breakfast eggs... if it lasts that long without being eaten! Make some perfect hard boiled eggs. Remove the shells, slice them in half legthwise, and add the yolks to a small bowl. 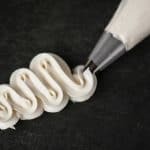 Add mayonnaise and sriracha to bowl and mash up and mix with a fork until smooth and creamy. Add yolk mixture to a pastry bag or a plastic baggie with the corner snipped off, and squeeze the yolk mixture into the egg white halves. Top with crisp bacon. 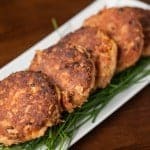 Garnish with minced parsley, if desired. 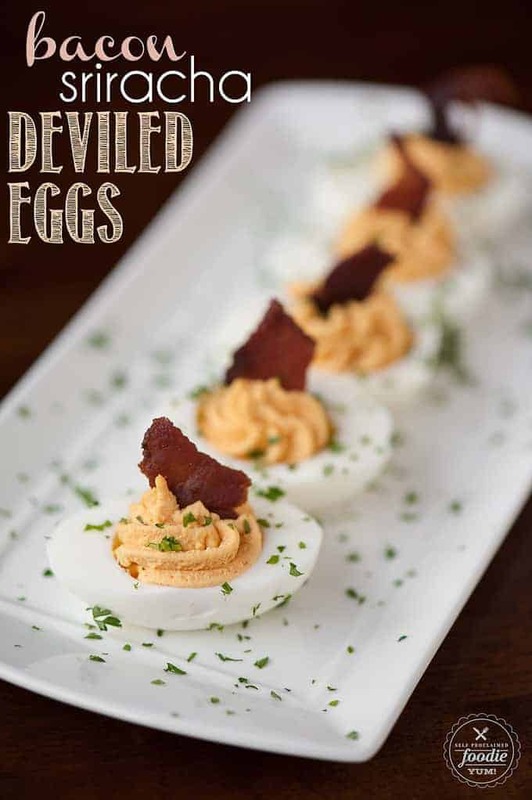 I would really, really love to taste these deviled eggs! 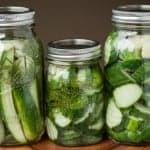 So simple and yet so flavourful!